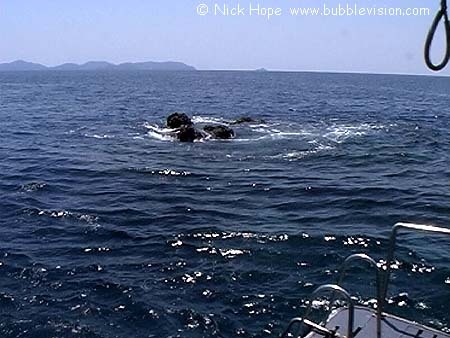 Richelieu Rock only rises 1 or 2 metres out of the water, and is completely submerged at high tide. Without a beacon, it is a wonder it hasn't been responsible for any shipwrecks. Our DVD features lots of underwater video from Richelieu Rock.